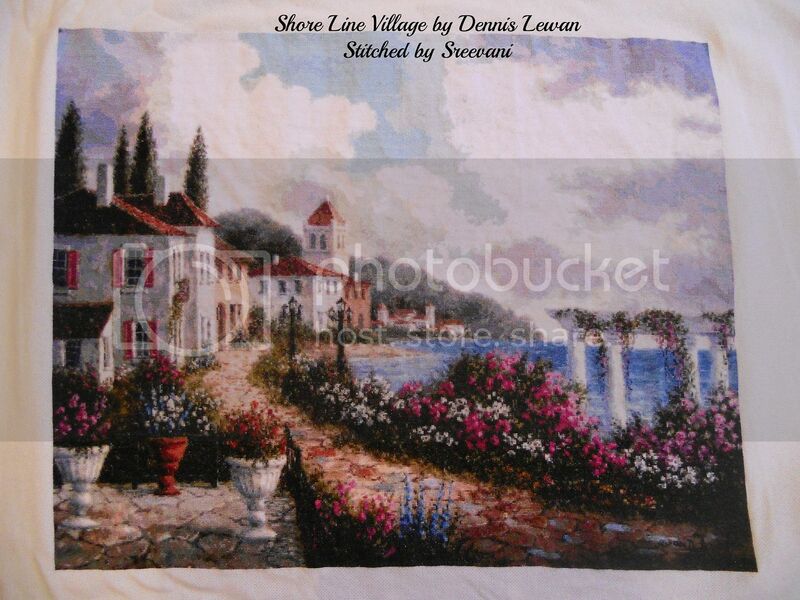 My Stitch Diary: Shore Line Village FINISHED! And its finally done!!!!! So happy that its done and with how it came out! Now I have to decide what to stitch next!!! Congrats on an amazing finish. Congratulations. It looks fantastic! I can't imagine what it must feel like to complete such a huge piece. Congratulations on a pretty epic finish! It's gorgeous! Congrats! It looks absolutely amazing!! You must be really proud! Wow congrats it looks great! Congratulations! What a fantastic achievement and it is as beautiful as I thought it would be. que hermoso ha quedado!!! felicitaciones!!! y feliz año 2016!!!! !